God's love is the missing ingredient in many of our relationships. Many of them are merely perfunctory and unfortunately erode over time. In 1 Corinthians 13, Paul paints a picture of what true love is and what it is not. 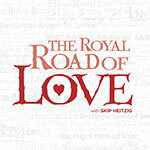 Throughout the text, Paul shows us that true love has many facets and explains it in both positive and negative terms. He tells us our love for others is meant to be a mirror of Christ's love for us. This series looks at what true love really is, highlighting how we can learn to let love govern our personal relationships.